PBK - Phi Beta Kappa Awards and Fellowships. 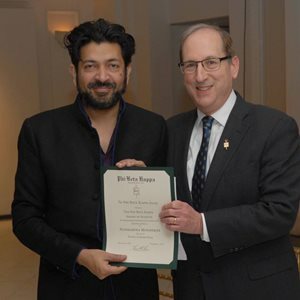 The Phi Beta Kappa Society offers a variety of awards that support our mission to champion education in the liberal arts and sciences, to foster freedom of thought, and to recognize academic excellence. Phi Beta Kappa's Book Awards are administered in the following non-fiction categories: The Christian Gauss Award, celebrating outstanding books in the field of literary scholarship or criticism; The Phi Beta Kappa Award for Science, recognizing superior books by scientists, written to illuminate aspects of science for a broad readership; and The Ralph Waldo Emerson Award, honoring scholarly studies that contribute significantly to interpretations of the intellectual and cultural condition of humanity. Award-winning authors receive a $10,000 prize at an awards dinner in Washington, D.C. The Dr. Martin R. Lebowitz and Eve Lewellis Lebowitz Prize for Philosophical Achievement and Contribution is awarded by the Phi Beta Kappa Society in conjunction with the American Philosophical Association. 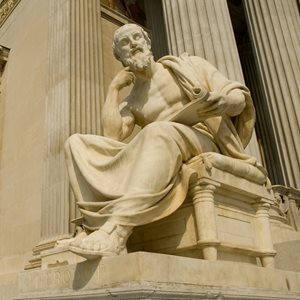 Each year, the award is presented to a pair of philosophers who hold contrasting views of an important philosophical question that is of current interest both to the field and to an educated public audience. Honoraria for the symposiasts are funded from an endowment; while amounts vary from year to year, they have recently been in the range of $25,000 for each honoree. Established in 1934 by Isabelle Stone (ΦΒΚ, Wellesley College) in honor of her mother, the Mary Isabel Sibley Fellowship was designed to reward women pursuing graduate work with the experience of researching and living abroad. 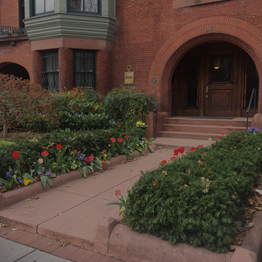 The Sibley Fellowship is awarded annually, alternating in the fields of Greek and French. 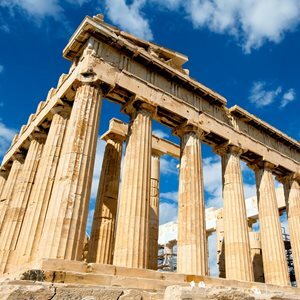 The award may be used for the study of Greek language, literature, history, or archaeology, or the study of French language or literature. It carries a stipend of $20,000 and is not restricted to members of Phi Beta Kappa or to U.S. citizens. The Walter J. Jensen Fellowship was established in 2001 by Professor Walter J. Jensen (ΦΒΚ, UCLA) for the study of French Language, Literature, and Culture. 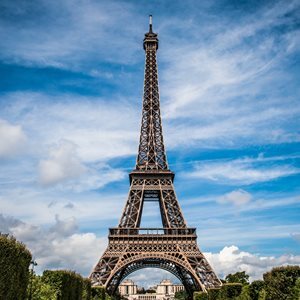 It aims to help educators and researchers improve education in standard French language, literature and culture and in the study of standard French in the United States. The fellowship is awarded for at least six continuous months of study in France and carries a stipend of over $16,000. Awarded annually to scholars in the field of philosophy, the Romanell-Phi Beta Kappa Professorship is not restricted to any one school of philosophical thought. The professorship recognizes not only distinguished achievement but also the recipient’s contribution or potential contribution to public understanding of philosophy, and awards a stipend of $7,500. 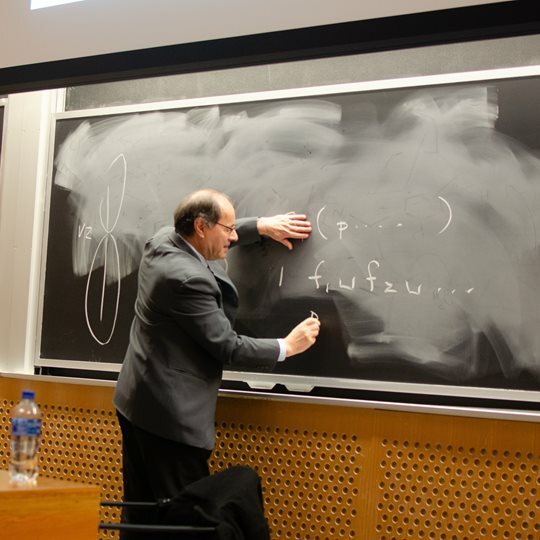 The recipient gives a series of three special lectures at a Phi Beta Kappa chapter sheltering institution during the year of the professorship, and these lectures are open to the general public as well as to the academic community. 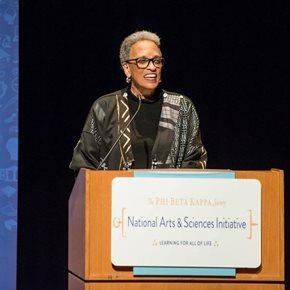 The Phi Beta Kappa Society’s National Arts & Sciences Initiative energized support for the arts and sciences among decision makers entrusted with American higher education. To build greater awareness of their value to the nation, the Key of Excellence Awards recognized innovative efforts to engage communities with the arts and sciences. Programs awarded Phi Beta Kappa’s Key of Excellenced receive a $10,000 cash prize and special recognition at a local event designed to bring together policymakers, business leaders, and Phi Beta Kappa members in support of the arts and sciences. 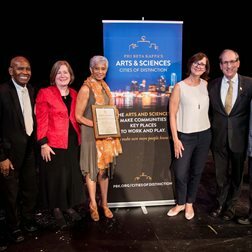 The Arts & Sciences Cities of Distinction event series was designed to shine a spotlight on cities that recognize the value of the arts and sciences to their communities. The series worked with municipal leaders to recognize four local organizations with $5,000 prizes for their successful efforts to engage broader audiences with the arts, humanities, social sciences, natural sciences, or mathematics, and connected new audiences to notable arts and sciences scholars in their communities through public (En)Lightning Talks where several presenters conveyed key ideas in fun, accessible, and quick presentations. The Phi Beta Kappa Award for Distinguished Service to the Humanities is given to recognize individuals who have made significant contributions in the field of the humanities. The award includes a cash prize and a medal named for Mr. and Mrs. William B. Jaffe, whose gift of $25,000 enabled the Society to create the award in 1970. Mr. Jaffe was a Phi Beta Kappa graduate of Union College. Award recipients are honored at the Society's Triennial Council Meeting. The Sidney Hook Memorial Award recognizes national distinction by a single scholar in each of three endeavors — scholarship, undergraduate teaching, and leadership in the cause of liberal arts education. The award was established in 1991 in memory of the distinguished American philosopher and Phi Beta Kappa member, Sidney Hook (1902-1989). Funding for the award was made possible by a grant from the John Dewey Foundation. Award recipients are honored at the Society's Triennial Council Meeting. 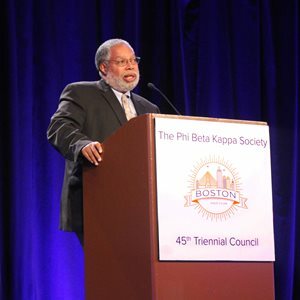 The Phi Beta Kappa President’s Award, created in 2009, is given to an individual in recognition of truly outstanding and extraordinary service to the national organization. 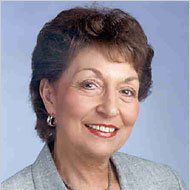 It is generally awarded every three years at the Society's Triennial Council Meeting and is commemorated by presentation of the Judith F. Krug Medal. The John Hope Franklin Award recognizes individuals for exemplary, long-standing service to the Phi Beta Kappa Society. 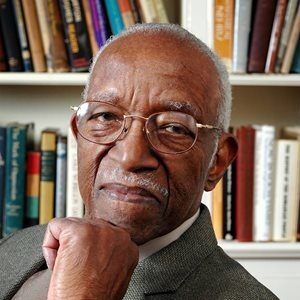 John Hope Franklin served as President of the Phi Beta Kappa Society and was awarded the Presidential Medal of Freedom, not only for his lifelong work as a student of history, but for his determination to bring about a better understanding of race relations in modern times. This award, created in 2011 and chosen by the Phi Beta Kappa Staff and Senate, is generally given every three years at the Triennial Council Meeting. For basic information on the Phi Beta Kappa Awards, download this information sheet.